Kiev (AFP) - Ukraine's incumbent leader on Sunday warned the country's future was in danger as he failed to lure out a comedian tipped to become the next president into a debate before a high-stakes run-off vote. 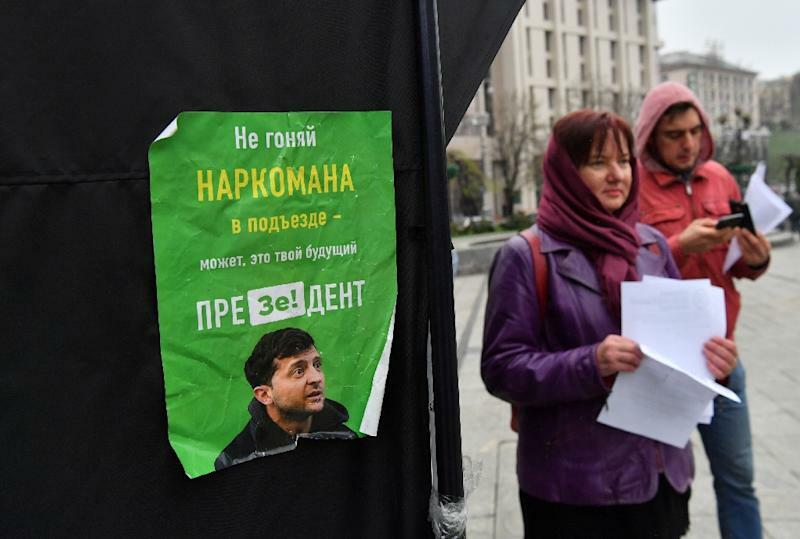 The actor Volodymyr Zelensky's predictable no-show prompted President Petro Poroshenko to stage a one-man debate at Kiev's Olympic Stadium as several thousand supporters flooded a nearby square. At the sports arena, Poroshenko repeated that debates were not scary. "Do not be afraid," he taunted his rival. "I have come, you are not here," Poroshenko added, citing a line from a humorous folk song. Despite the flamboyant media spectacle that included alcohol and drug tests for the two candidates, the stakes are high for the country of 45 million seen as the biggest frontier between the European Union and Russia.